Iran is probably the most notable frontier for new business within ‘One Belt One Road’, delegates were told. “Its trading alliances in Asia remain strong but with the lifting of sanctions the opportunities for Iran are opened further, with long standing historical trading partners in Southern Europe and their demand for Iranian crude oil, all likely to be transported through the Suez Canal and the Sumed pipeline,” said Mr Petropoulos. “In the 1970s and 1980s, the trend for crude oil produced in the Middle East was for Western demand but by the turn of this century the trend reversed with Middle East producers supplying the East. However Middle East refineries are also producing products for the region and are now exporting large amounts of products to global destinations as profitable trade, as well as a hedge to reduction in OPEC crude quotas. North East Asia is also producing gasoil which will find itself in the West. Major traders are fixing new building aframaxes and suezmaxes to load cargos of gasoil from refineries in Japan and Korea all transiting the Suez Canal,” he said. Since the completion of the new dual carriage, the new Suez Canal will be able to handle almost twice the traffic, delegates heard. 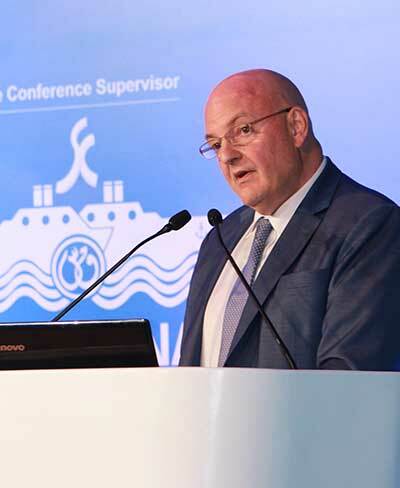 “And providing it remains commercially viable, this will lead to greater numbers of vessels navigating at both Suez and Port Said. In any environment where there is increased traffic there is increased risk of incident,” he warned. According to Mr Wilson, combined, those four categories comprise approximately 65% of the entire casualty load of the hull and machinery (H&M) insurance market claims record over the past two years, and the longer historical picture is not too different. “If we look at this over five years, we can see that the same dominant consequences arise when risk is not managed correctly. Looking at the cost element, we can see that the average cost of claims hovers around the $1m mark, with relatively minor variations over time. “One notable feature of the data is that the cost of collisions has risen dramatically over time, and now comprises almost 20% of the total. If we assume that the number of collisions has a relationship to the number of traffic movements and the proximity of vessels in a given area, then it’s reasonable to assume that there would be an increase in collisions if the volume of traffic in a given location was to increase over time. Machinery damage and fire or explosion are not traffic dependent, but it’s reasonable to assume that collision and grounding incidents are and, consequently, there may be an economic impact on shipowners’ costs if they trade through an area of changing, increased and more densely packed traffic on a regular basis,” he said. The economic impacts of collision and grounding are varied, but there are common issues for shipowners following these incidents such as the cost of dealing with the incident, which can be considerable depending on the specifics of the incident, its location, the availability of support and repair services, the availability of technical expertise to recover the situation and the wider network of support available to the owner.